These will let you run a test from putting an order through from the front end, without actually using your real credit card. 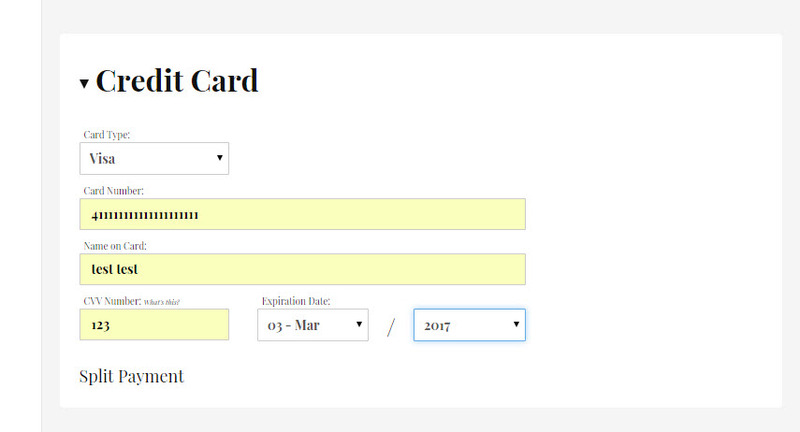 You can enter any Customer Name, Expiration Date with these test cards. The CVV will need to be 123. 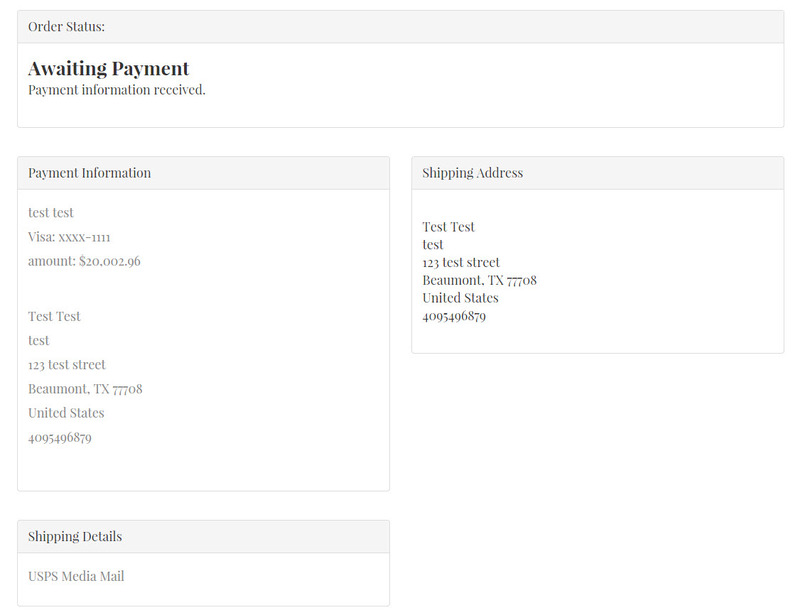 The gateway will not let the payment go through, so the order will be put into a credit declined status, or awaiting payment depending on your order status settings.